Which bike will come out on top? 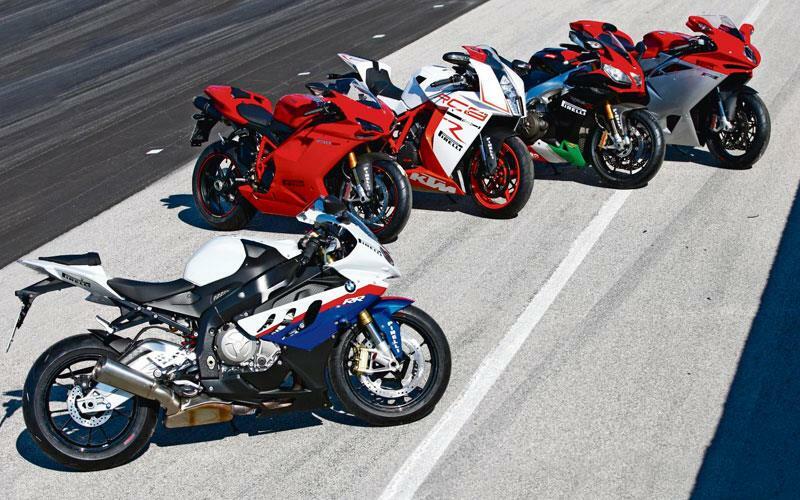 In February we tested the BMW S1000RR against the Yamaha R1, Honda Fireblade, Suzuki GSX-R1000 and new Kawasaki ZX-10R and it dominated the test. This week we put the BMW up against the Europeans - the Ducati 1198SP, KTM RC8R, Aprilia RSV4 Factory APRC and MV Agusta F4 1000R - to see if it can maintain its dominance of the 1000cc sports bike class. Which bike do you think will win? Vote in our poll below, and read the test in this week's MCN, out now.